African breadfruits such as this fried ukwa are just an awesome recipes to always remember. What I admire most about this fried ukwa is that it is super delicious, tastier and easy to prepare; a bit different from the usual cooked ukwa dish. Even though I decided to pass on the coconut or palm kernels, which the original recipe calls for, I am sure you will enjoy this fried ukwa (African Breadfruit) much as I did. I have no doubt that some people will be pondering what African breadfruit is all about. African breadfruit (ukwa), botanically known as Treculia africana is a huge tree that is part of the Moraceae family. It grows mainly in the tropical regions and can grow up to 98 ft. The African breadfruit are characterized by dark and large greenish leaves with grayish bark. The fruit is a popular staple food in the Ibo region of Nigeria and they call it ukwa in their dialect. The ukwa fruit is roundish, big and greenish yellow in appearance with a sort of spongy appearance when the fruit is ripe. The ukwa fruit has many seeds when cut open and these seeds are the edible part of this fruit. 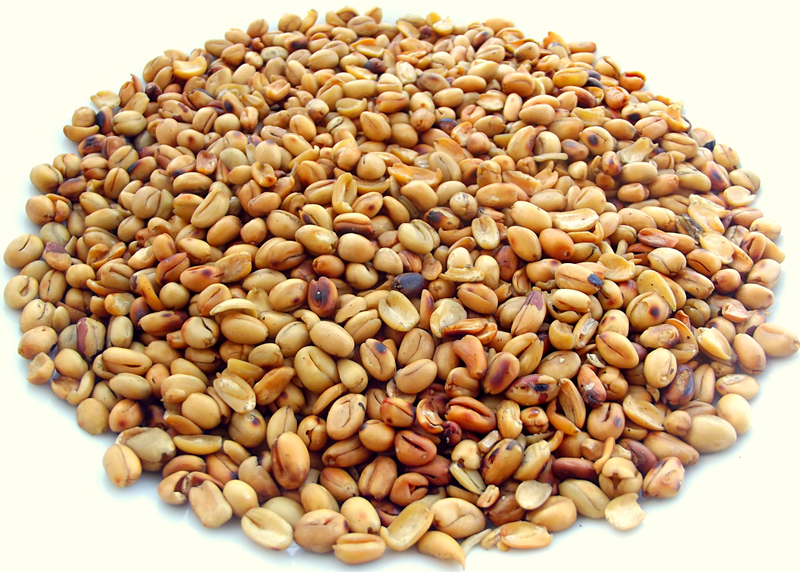 African ukwa seeds are dicotyledonous in nature and they are mainly eaten as a main dish or as a snack when fried. Frying ukwa seeds are not an easy task at all and once done, it is such that you would always want to go for a second round. The seeds are very unique due to their high nutritional value and distinguished taste. African breadfruit is highly proteinous, hence highly recommendable for everyone. The Treculia africana seeds can be fried with the skin on or without the skin but whichever method is still okay. Add the ukwa in a saucepan and place under a medium heat. 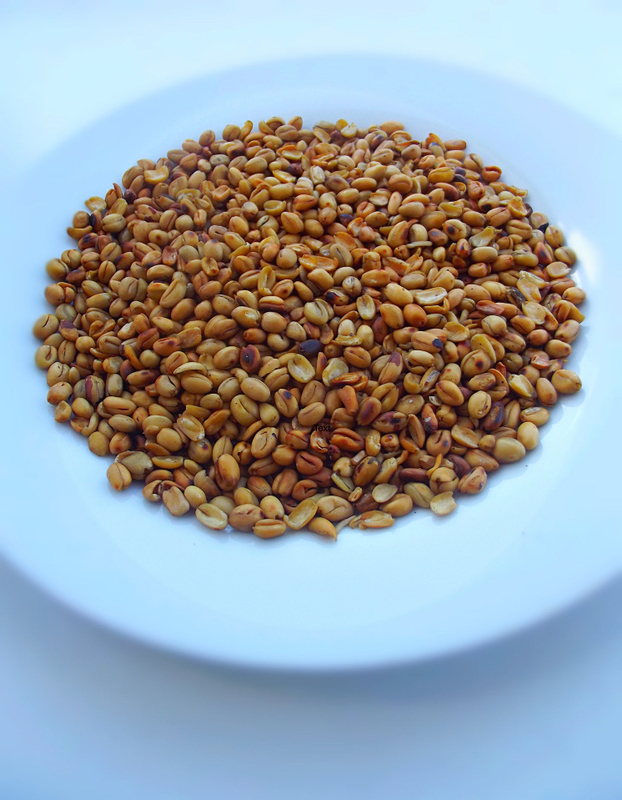 Continue stirring the ukwa seeds until they begin to pop and the seeds turn golden color in appearance. Once the ukwa is properly fried, bring down from heat and allow to cool down before peeling the skin. Then serve cold with either coconut or palm kernel nuts. B You can fry the ukwa either with the skin on or peeled. You can alternatively peel the ukwa skin after frying.